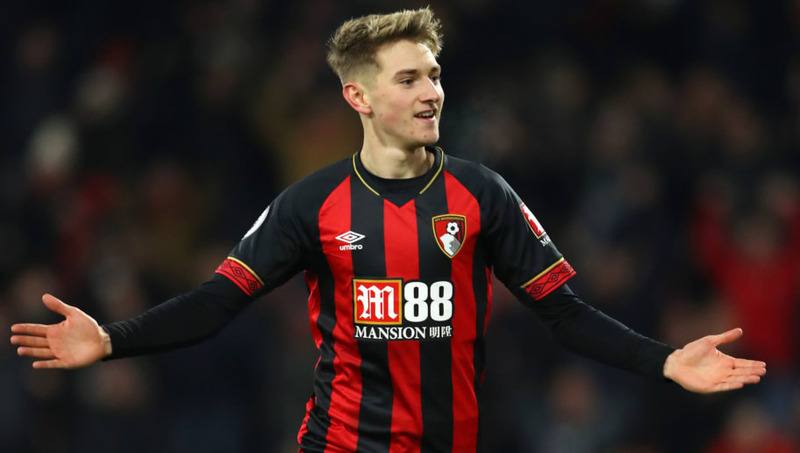 ​Tottenham Hotspur are reportedly readying a £50m bid for Bournemouth wonderkid David Brooks, but face competition from Ole Gunnar Solskjaer's Manchester United. The club have previously been linked with Brooks during his time with Sheffield United, but the midfielder instead secured an £11.5m move to Bournemouth last summer. He has since established himself as one of the Cherries' most important players, racking up six goals and four assists in 22 league outings. News of ​Tottenham's interest in Brooks comes from the ​Mirror, who claim that the club are hoping to avoid a bidding war with ​United by submitting a lofty offer to open negotiations. ​Bournemouth are reluctant to lose such a key player, but it is thought that they are aware of Brooks' ambitions to feature for an elite ​Premier League team. Brooks, who began his career as part of ​Manchester City's academy, has been one of the breakout stars of this season, earning rave reviews from fans and pundits as a result of his impressive creativity and composure, despite being just 21 years old. He registered a goal and an assist during the 4-0 demolition of ​Chelsea on Wednesday, but also picked up an ankle injury in the second half which has forced on him a period on the sidelines. He missed the 2-0 defeat to ​Cardiff City on Saturday, and looks set to be out for around a month. According to the report, members of Tottenham's scouting team have questioned why the club declined to move for Brooks during the summer, despite their heavy monitoring of the youngster during his time in the ​Championship. Nevertheless, Tottenham have continued to scout Brooks, but ​United have also sent officials to watch the Welsh international this season. Both clubs are said to be thoroughly impressed with Brooks' ability and potential, which could lead to a bidding war in the summer.